Capsicums (Capsicum annuum) and chillies (Capsicum frutescens) are cultivated as annual vegetables while the edible parts are botanically fruit. They belong to the Solanaceae family along with tomatoes, potatoes and eggplant. Capsicums and chillies are good sources of antioxidants and vitamin C. This page outlines the production of capsicums and chillies in Western Australia. Capsicums (Capsicum annuum) and chillies (Capsicum frutescens) originate from South and Central America. They are members of the Solanaceae family, as are tomatoes, potatoes and eggplant. Plants are bushy, about 60–80cm high and semi-perennials that are grown as annuals in commercial cultivation. They supply good levels of antioxidants and vitamin C.
Capsicum and chilli varieties are many and produce fruit with a wide range of shapes and colours. Chilli varieties range widely in pungency. In Western Australia, the name capsicum is used for fruit which is bell or cone-shaped with a sweet flavour. 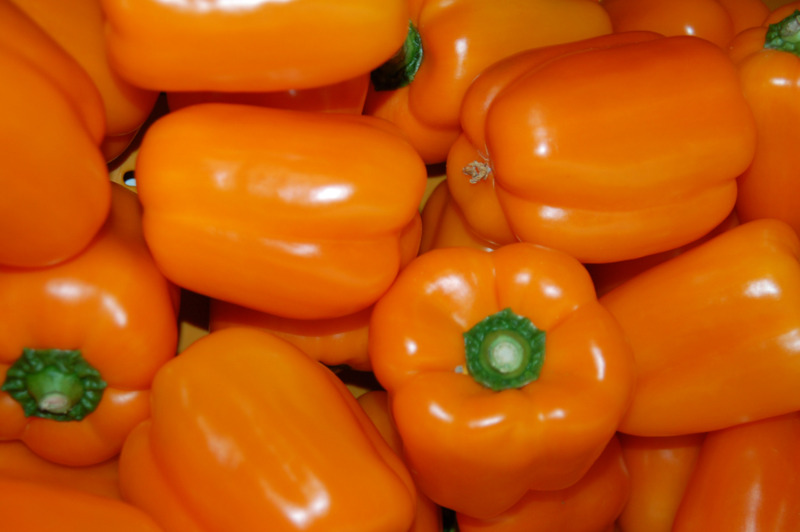 The same fruit is called bell pepper or sweet pepper in the USA and Britain. The term chilli refers to fruit which is usually cone-shaped and smaller and the pungency may be mild to intensely hot. The main compound responsible for pungency is capsaicin. Within a chilli variety, the greatest pungency is with small, red fruit, especially in the cross-walls, close to the seeds and pith area. Capsicums are used in salads, baked and stuffed dishes, stews, stir-fries, salsa, pizzas and cheeses, pickles and for stuffing olives. They may also be used for producing paprika which is used for colouring foods, flavouring and in sauces. Chillies are the most important spice crop in the world. They may be used fresh, in pickles, sauces, salsa, pizzas, flavouring and pastes. There is an increasing demand in Australia for new ways of using chillies for culinary use. Capsicums are marketed throughout the year in Western Australia. 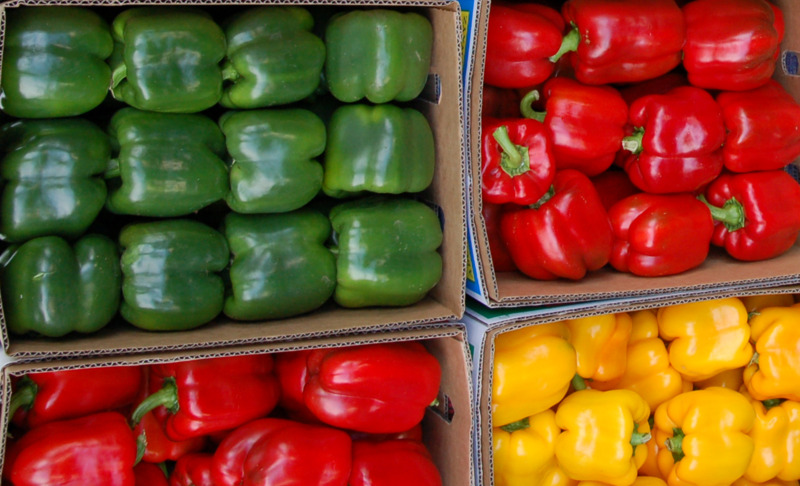 In 2013/14, Western Australian capsicum production was about 10 000 tonnes (DAFWA estimate). Average yields are close to 25 tonnes per hectare, although commercial yields of more than twice this are achieved. Wholesale prices vary with season and time of year. Prices are higher for red capsicums that take longer to produce than green ones. Returns for Carnarvon capsicums that are harvested during winter and spring are generally higher than for Perth crop. Most capsicums and chillies are grown in soil, using trickle irrigation and polythene mulch, however production of very high quality capsicums in protected cropping systems using hydroponics is increasing. Warm conditions over a five month growing period are necessary for high yields and good quality fruit. Capsicums and chillies require slightly warmer temperatures than tomatoes or cucumbers. Chillies are more tolerant of high temperatures than capsicums. Optimum temperatures for fruit set are between 16°C and 21°C. For good fruit development, night temperatures of 15–17°C and day temperatures of 24–30°C are ideal. Capsicums can be damaged by frost. Plants retarded by cool weather tend to harden and seldom regain the vigorous growth necessary for high yields. During cold weather, the fruit remains small, hard and malformed because of uneven pollination. The fruit may also have numerous growth cracks. The fruit may be sun-scorched during hot weather and fruit will show poor setting and poor colouring when temperatures are above 33°C. Soils must be well-drained, with optimum pH of 5.0–6.0 (measured in calcium chloride) and low salinity.